The team that produces ShopTalk sure knows how to launch a new convention. The inaugural GroceryShop convention was pulled off without a hitch, and lured in about 2,500 of the movers and shakers from the grocery, tech, and CPG world. The big news of the show for RevTech was that Weis Market, a 206-store grocery chain based in Sunbury, Pennsylvania, announced that they are deploying with our portfolio company, Birdzi. This news was shared during a keynote presentation by Weis’s VP of Marketing, Ron Bonacci, as he described various technologies he has integrated during his tenure with the company. The next big news, from a RevTech standpoint, was that our portfolio company, Tastry (fka BottleFly) was awarded the audience favorite in the startup pitch competition. As we’ve seen at several of our past pitch events in Dallas, Katerina Axelsson gives a very compelling pitch! She was awarded the “big check” by two friends of RevTech – Deborah Weinswig of Coresight Research and Skyler Fernandes of Venture University. As somewhat of a newbie in the world of grocery tech, I’m struck by how stable and clearly defined the borders of the grocery world were for so long, which helps explain the great angst the industry is feeling in the current tumultuous environment. For decades, the grocery industry operated more or less as an oligarchy, with two or three local players owning each major market. The major CPG companies owned the shelves, providing so much of the overall marketing budget that grocers were truly beholden to them. Private label products were a very small sliver of sales and generally only carried the brand of the grocer itself. Coupons were 100% paper and clipped from the Sunday newspaper. (Anyone remember S&H Green Stamps?) Delivery was only for the wealthy patrons, and was accomplished by sending the housekeeper to the grocery store. The grocery and CPG industries maintained this framework for decades, with very little disruption. In the 80’s and 90’s new competition began to emerge in the form of club stores, like Sam’s Club and Costco, organic foods at the high end, led by Whole Foods Market, and WalMart at the low end. Loyalty programs were developed in effort to develop competitive advantage, but all it seems they achieved was lowering their margins, as every transaction now had a loyalty discount. Firms like Quotient and Inmar formed an oligarchy around couponing. That disruption was manageable, but take the changes of the past five years – Amazon, mobility, more competition and market segmentation, big data, ecommerce, delivery, and now personalization – and we begin to see a large swath of the “old guard” either invest heavily in change or go out of business. GroceryShop brought a cross-section of all the players together – old guard, new guard; online, offline; grocers, CPG brands; technology and capital – and the discussions were fascinating. It was clear that brands and retailers were looking for ways to combat declining market share while innovators were looking for ways to fuel the growth. 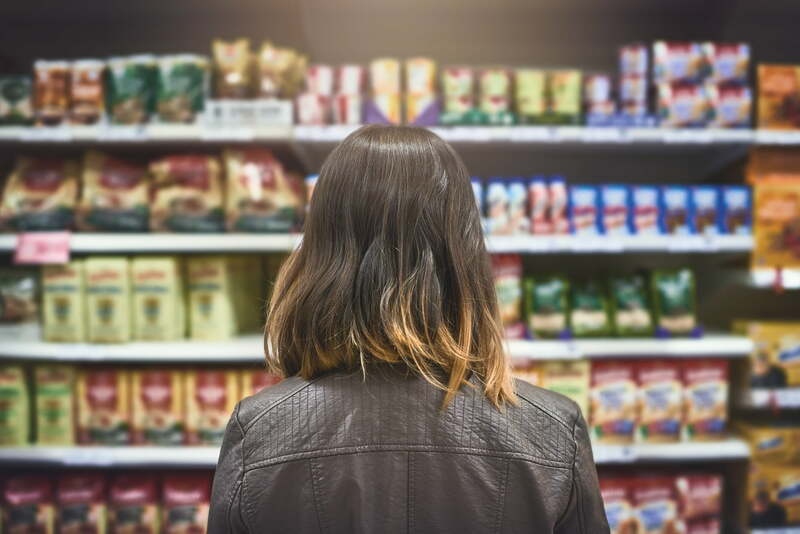 I learned that it’s no longer called “private label” but “private brands,” and CPG companies were reminded that private brands and personalization are the main ways that today’s grocer can combat relentless competition. Another trend line that’s irreversible is that the items that fill the pantry will increasingly be fulfilled online, while the items that fill the refrigerator will be filled in-store (but possibly through click and collect). A result is that grocery store footprints are shrinking, chef-prepared meals are increasing, and the back of stores are growing as they become commercial kitchens and ecommerce fulfillment centers. It’s fun times indeed in the grocery world!